Our new à la carte menu launches today, 20 years on since our first ever menu in our first ever brasserie in Oxford. We were ahead of the game then and we like to think we remain that way. 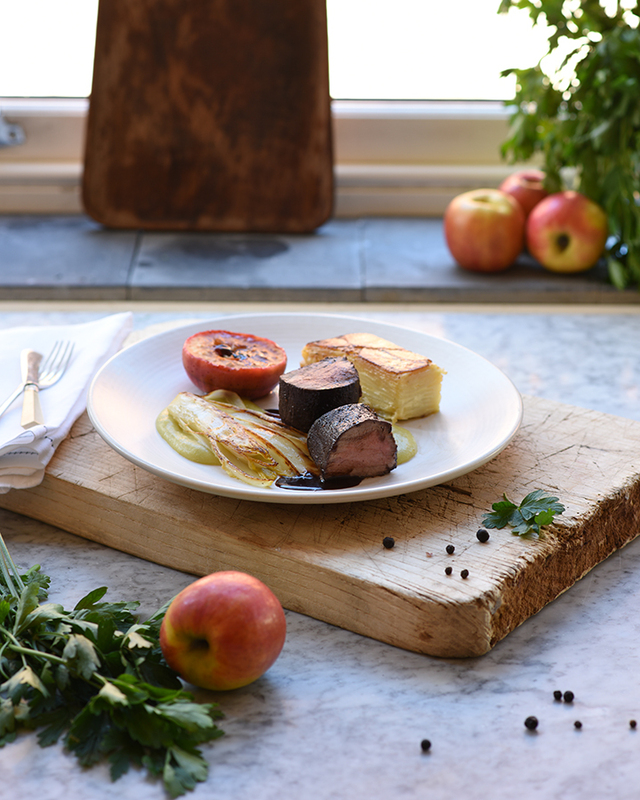 Pop in ‘chez nous’ & try our deliciously seasonal new dishes such as wild boar with apple purée & braised chicory, roast apple & Dauphinoise, or the beautifully delicate but satisfying ocean-reared rainbow trout with cauliflower florets and purée. Just two of our new star dishes for Autumn. Other newcomers to enjoy are the deliciously simple grilled rock lobster tail and chips. The succulent seafood tails are served with prawn butter & our fabulous French fries, and are sure to be a winner. As is our stunning new vegetarian dish; wild mushroom ravioli with Ford Farm Coastal Cheddar sauce. This went down a storm at our menu tastings and we are sure you will see why once you taste this perfect Autumn dish. Some old favourites are back as well. Look out for the ever popular Morteau sausage with free range poached egg, our own version of bangers & mash with scrumptious Toulouse sausage, creamy pomme purée and rich gravy, and a new twist on our beautiful seasonal beetroot & goat’s curd salad. Desserts are equally delicious with everybody’s favourite pistachio soufflé back on the menu, along with our signature Normandy apple tart with Autumn apples and a decadent gluten free chocolate & almond torte. And of course no French menu would be complete without cheese, and our seasonal artisan cheeses, specially selected by Eric Chariaux of the award-winning Premier Cheese Company, are the perfect way to end your meal. You can view the full menu here, or you can try it our from today in any of our brasseries.